The 4th Annual Halloween Special in the world famous Sleepy Hollow Cemetery! We’ll be back at the Cemetery’s Washington Irving Chapel – the perfect venue for an evening of true Halloween tales. 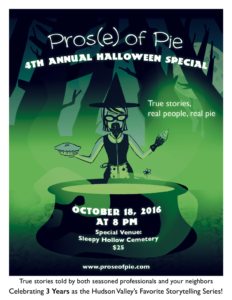 Join us for a stellar line-up of the region’s best storytellers sharing true Halloween-y tales: memorable Halloweens, costumed misadventures, and actual brushes with terror. And, know where you’re going : the show will be at the Sleepy Hollow Cemetery – not the Old Dutch Church. Use the entrance about half a mile north of the Old Dutch Church. The pies entered in our bake-off are baked by members of the audience. Tempted to enter your creation for a chance to win a gift card? 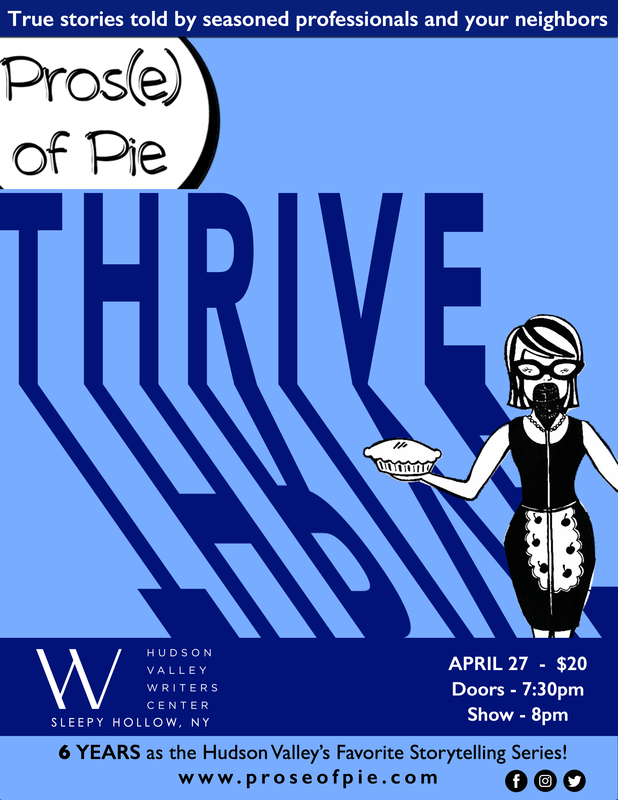 You’ll need to (1) email us your info and the type of pie you’re bringing, and (2) drop your pie off before 7:30p ! If you’re interested in telling a story, email co-producers Ivy Eisenberg or Zak Shusterman for additional information and to schedule an audition.